I agree with you on the love connection! Men go nuts when I wear MF. It is just so so so good. I love Midnight Fleur so much! I can't seem to stop talking about it :) I really liked White Sandalwood when I smelled it at Sephora - it was a close second and I think it will be joining my collection soon. 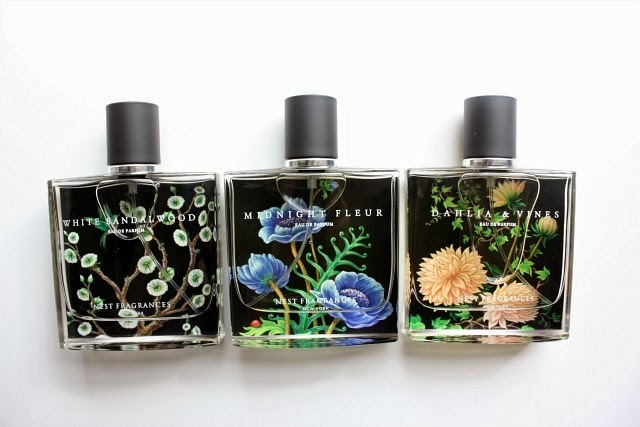 And can we just talk about how gorgeous these bottles are? Nest is killing it! White Sandalwood is now getting just as much wear as Midnight Fleur for me - so good! I've heard so much about Nest Candles! I love the packaging on the fragrances! They are worth the splurge and so are the fragrances!